I would like to welcome new slammers, Shooter McGavin, Bob, and DEBT to the tour. Hope your first experience was positive. 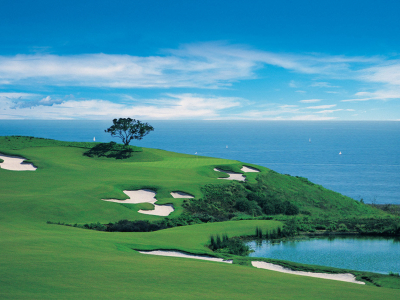 Pelican Hill @ GOM was an enjoyable course to play. Very scenic for indoor. I would like to thank those who stuck around for my first OC wrap-up. It was late and therefore quick and brief. Thanks to those who volunteered for Skin and Doggie Master. A BIG THANKS to Rulz for helping me through my first OC event. Now knowing what the OC's do thanks to those who have done it before. I look forward to my second event as OC. J-Dub, turning into a indoor tour regular, goes 3-0, collecting a chip in Skin, and a Dog, along with shooting his best indoor slammer score, (Well Done!). I would also like to thank him mentoring a couple new slammers as well. Another Indoor slammer rookie who can smash the ball long off the tee. Adapting to the indoor game very nicely with a birdie on the opening hole, that scored him the skin. Shooter McGavin shot below par, went 2-0, defeating two Open class golfers, and grabbed himself a Dog on #7. He takes over O2. Chips appeared in his 2nd indoor event and has adjusted to the indoors nicely..... Chips posted a below par score and defeated two fellow A classers, well done. I would like to thank Chips for volunteering as Skin master and I foresee a move to the Open class in your future.